Digital transformation. The only business strategy that matters. With Adobe Document Cloud, you can transform current document processes into all-digital experiences. So information flows automatically from one step to the next. It's everything you need to create all-digital document workflows - quickly, securely, in the systems you already use. Document Cloud includes Adobe Acrobat DC, Adobe Sign, and powerful mobile apps. 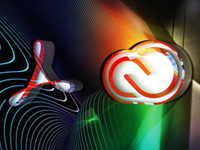 And it's backed by Adobe, the leader in digital documents for more than 20 years. Increase efficiency and productivity through digital workflows. 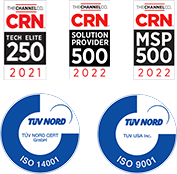 Learn more about Adobe document management solutions and purchasing options by contacting your Zones account manager or calling 800.408.9663. Not all PDFs are created equal. With Acrobat DC, everyone in your organization can create smart PDFs that store all the data of the original file. And documents can move from one step to the next - smoothly, securely, automatically. Put speed on your side with the #1-rated e-sign solution. 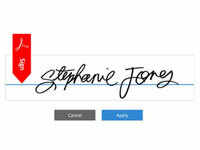 Add Adobe Sign to the applications you already own. And get all the power you need to keep business moving. No barriers. No delays.